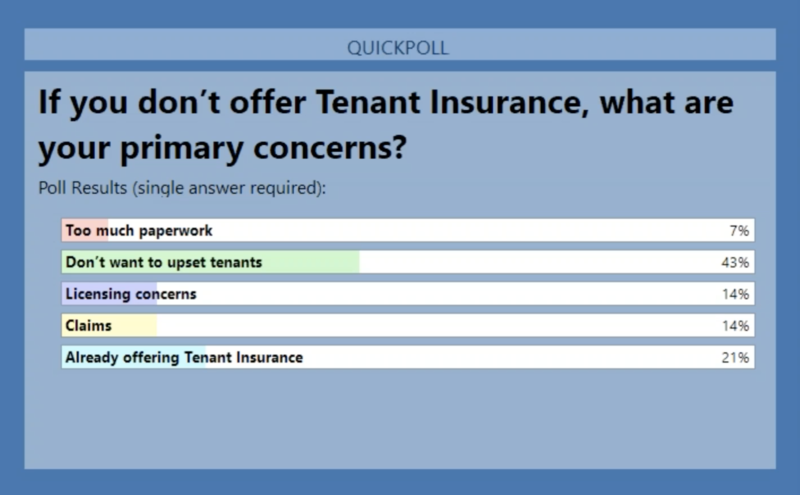 Below is the list of Answers to the Questions asked during the June 20, 2018 Industry Webinar with James Appleton of MiniCo Tenant Insurance. If you missed the webinar you may watch it on-demand from the SiteLink website. Q. Is the $20,000 coverage you offer per claim, per year or per lifetime? What is that coverage limit? A. That is on a per-claim basis. Typically with an insurance policy, if a customer files multiple $20,000 claims, they will be non-renewed. Q. Does MiniCo try to recapture their claim payout to a tenant against my property liability insurance? A. That is called subrogation and no, MiniCo Tenant Insurance does not subrogate. There is no fault on the part of the operator for any damage or losses on the tenant’s part. Q. Could a person show a business policy for evidence of insurance? A. It’s up to the operator what type of insurance you will accept. Evidence of insurance is not a mandate. Our simple guidelines are homeowner’s and renter’s policies, but if you have a lot of business tenants then their policy would cover it as well. Q. Should we read the homeowner’s policies, and will we be trained on how to read one? A. No, you are not an insurance agent and you have no business interpreting a policy. Your job is to present what you’re offering, the options and the benefits. If they have questions, they can contact their insurance agent. You don’t want to give them incorrect information. Q. Do you offer actual cash value or replacement cost? A. MiniCo offers replacement cost for the item. Q. If you provide tenant insurance, are you inspiring a tenant to create fake damage or theft to get a payout? A. MiniCo Insurance has 44 years of claims adjusting on our side. We notice trends like an increase in claims around Thanksgiving and Christmas, when people may need more cash, and also in January/February when credit card bills are due. We have the experience to be able to look at a claim and know instinctively if the claim is potentially fraudulent or not. You cannot fake water damage or fire, but a lot of times people try to fake theft. 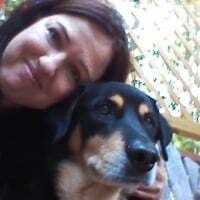 We can review camera footage and also see if they have filed a police report. No one will file a report if they are committing fraud! We will need to substantiate the claim. This is another benefit of tenant insurance. It’s on your provider to deal with figuring out if a claim is fraudulent or not. There is less risk on the operator--simply hand the claim off to the professionals and maintain a good relationship with your customers. Q. If a customer wants more protection than the agreement states, can we offer more? A. Absolutely. You can make exceptions to your lease, we just offer a guideline. You can make that judgement call if you need to. Q. What is the difference between a protection plan and an insurance policy? A. They are both essentially providing the same type of benefit to the tenant. With a protection plan, you as the owner are the person responsible for collecting the money for protection and also dealing with the claims. A protection plan is a part of your lease as an addendum and the operator is assuming the risk. Protection plans have the potential to make more money, but there is more liability with the risk. An insurance policy is different. The insurance industry is highly regulated. With MiniCo Tenant Insurance, the owner is selling an actual insurance policy that is backed by an A.M. Best rated carrier to the tenant. It is not a part of a lease. With insurance, you are no longer in the mix and you don’t have to deal with the claims. It is a cleaner process. 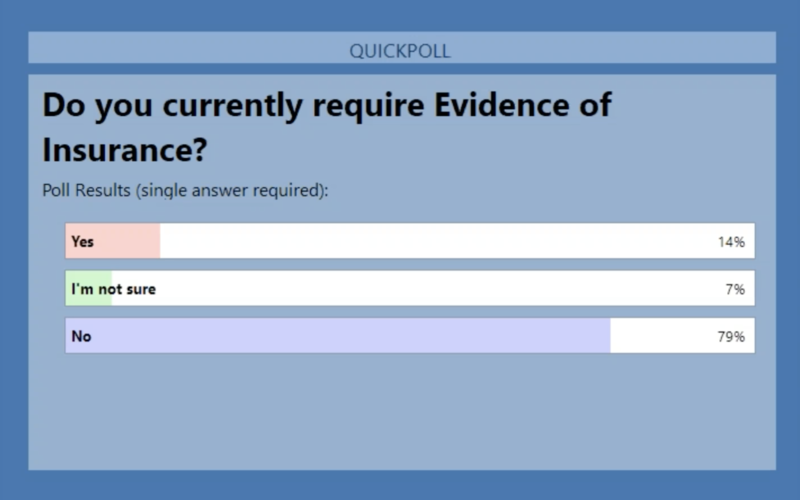 Take a look at the poll results from the webinar!